Weber cites recent Centers for Disease Control [CDC] reports that as many as seven million cases of the flu have been reported so far in the 2018-2019 flu season. The CDC says that as many as 84,000 people have been hospitalized as a result. The University of Chicago’s National Opinion Research Center (NORC) polled more than 1,200 participants in a survey conducted in November. They found that 41% of them had not gotten flu shots and had no intention of getting the vaccine anytime soon. A news release issued by NORC noted that nearly two-thirds of those surveyed were unaware that the 2017-2018 flu season was among the worst on record. Some 900,000 people were hospitalized and 80,000 died after coming down with the flu. Most of the deaths were adults 65 and older and children. 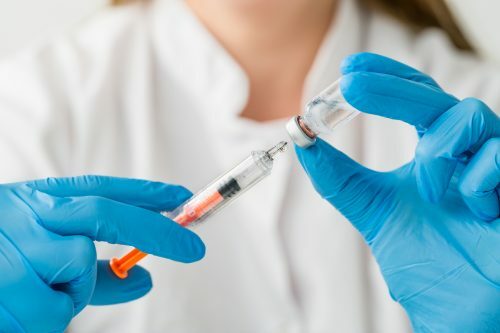 “Unfortunately, many people are still not getting flu shots due to broader misconceptions about the value of receiving a flu shot and concerns about the safety and efficacy of the vaccines,” according to NORC’s Caitlin Oppenheimer. The flu season got off to a slow start last fall, but the CDC now reports that outbreaks of the flu are at elevated levels across the country. Based on the science, I choose not to get the flu shot ever again. It contains aluminum (linked to Alzheimer’s), and it causes many other negative side effects. The CDC has already paid $4B in damages to people injured by vaccines. The majority of the negative effects were linked to the flu shot. Everyone should go to the CDC website and research the ingredients, side effects, and the $$$ paid for damages. It’s all there for the public to see. You have not done your research!! You would not be recommending ANY shots if you had looked into the facts from reliable information sources and not just government propaganda. Please do better. I joined so as not to be “pushed” . Please stop with the flu sermon. We are grown adults? The flu shot only covers 3 viruses out of thousands. You are getting a shot of mercury when you take the flu shot. The numbers are skewed as well. Want to know the truth about vaccines ? Check out vaccinejihad.com and get yourself educated. that you are censoring your members free speech rights. Think I’m joking ? TRY ME. A screenshot of this post has already been taken. I wrote to the CDC a few years ago expressing concern about the dramatic increase in flu and other lllnesses. This was during a large influx of illegal aliens. The CDC wrote back saying there was no connection. Now I see on TV that the Mexican Marines wearing surgical masks and gloves are serving illegals in food lines. Some of the illegals are also wearing surgical masks. This is another reason to build the wall to block against a potential deadly consequential viral germ invasion. It’s alone should be reason to block entryentry into our country. We need transparent honest statistical reporting from the CDC regarding illegals health status for those that make it into our country. Not only what Edwin Barreiro said in his comments is correct but the flu shots are not very effective. In actual numbers, they are effective in only a relatively small percentage of people. I will not get the flu vaccine nor will I get any vaccine for the same reasons. People, do your research! The real benefactors of vaccines are the manufacturers and those who deliver the vaccines. I hate to sound like a liberal but my body so if I don’t want a vaccine leave me alone. If the vaccinated are so safe, don’t worry about me. AMAC should stick to just to what they know which obviously don’t know the truth about vaccines. Many of the comments give good websites to get informed. The CDC is corrupt like many government agencies. Some whistle blowers have reported many in CDC don’t follow their own guidelines. I will never take another vaccine. Why do I want to put poison in me. Exercise, mostly organic food, and supplements like Vitamin C and D have helped me so far. Wash your hands and sneeze and cough on your shoulder, don’t cough on your hands. 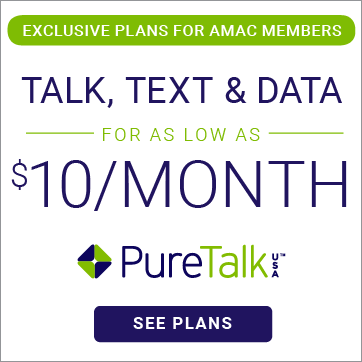 Ok AMAC get out of the influenza vaccine advertising business for pharmaceutical companies. We get enough vaccine advertisements from television and newscasts. People are getting too smart about the falsehoods of vaccines. Run like hell from every vaccine they are deadly to all living things. Here is a little perspective, Bill Gates Foundation provides vaccines to Africa to in their words eradicate the diseases that are killing people. The Bill Gates Foundation is the largest provider of funds to the abortion industry in Africa. Bill and Melinda Gates both belong to the World Eugenics Society a group who believe they must remove from the world the less desirable populations from society. All of this is true and can be easily proven in a search so if there is such a move by the Gates to help people with vaccines why then are they also working so hard to eliminate vast populations? Could it be that the vaccines are a Trogen Horse to health? My wife works in a nursing home where the flu shot is “mandatory” for all workers. Last week both the CEO and finance officer (who had the shot) were diagnosed and treated for influenza. Why not do a poll and see how many people agree or disagree with vaccines? 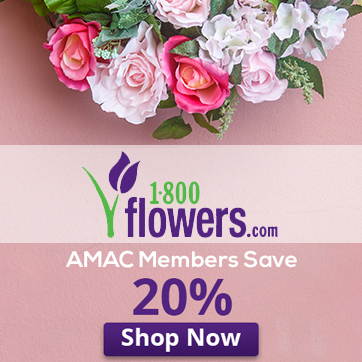 I’m actually shocked that AMAC is pro-vaccine. Are you ignorant of the subject or on the payroll of Big Rx? I can’t think of a third alternative. Please – people’s quality of life and even lives depend on your giving accurate info… or just abstaining. But don’t be like AARP and misinform Us, the People for your own gain. as a “conservative” news for seniors, I cannot believe you joined the bandwagon on suggesting seniors get their flu shots…I suggest you research before you push this information on your site…I am dissappointed as a new member. 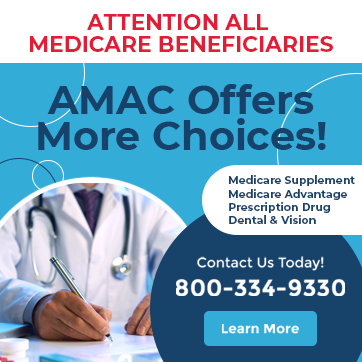 Gee, AMAC, you sound an awful lot like AARP. Are the Pharmaceutical companies underwriting you? This article is totally unexpected. I really thought you would be writing in a much more neutral way. Perhaps you should give the arguments for both sides and let us decide. Granted, many already have made their decision, but hearing real facts can be educational. Tell people what sites give good information. Stop spouting MSM-speak. I can get that everywhere else. What kind of a kickback are you getting from big pharma to run yet another pro flu shot article? It wasn’t too popular last time! The last time I got this shot was in 1981, I only did it then because I was serving in the US Air Force and I was ordered to do so. Result was I got so sick I almost died. I tend to think this is a money maker for the makers of this crap. They could care less who they hurt to make money.